When Horse Bloggers Meet - In Real Life! When I started the whole blogger thing, I thought people connecting with me will be like my Facebook friends (most of them to be honest): VIRTUAL. But what if all of a sudden one of them crosses your way in real life? It would not be THAT special, if that specific blogger would be Austrian, or even German - then you could say it was at least pretty likely. What I never thought of was meeting somebody from TEXAS - there is no Texas in Europe, so I mean the one in the UNITED STATES! Yes, there is a bit of water in between - so even more unlikely that a blogger crosses your way! But it happened!!! Some weeks ago, Jen from Wyern Oakes (here blog: http://pieceofheaven1951.blogspot.co.at/) sent me an email telling me that she will be passing Vienna on a business trip. 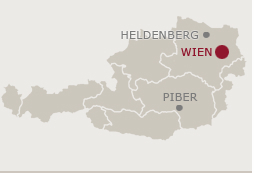 Vienna is approximately 300kms away from where I live - nothing compared to 15hrs of flying! So I took my family and boyfriend and spent last weekend in Vienna. Jen arrived on Saturday and unfortunately, stallions of the Spanish Riding School are still on holidays. Normally, you can watch the morning training and the evening shows, right now there are only morning trainings - and Jen was just landing when the training started. Another possibility would have been to go to Heldenberg, where the stallions have their summer camp or Piber, where the stud is located. Both options fell through because my car was already crowded. So, what to do with a horse crazy person when not being able to see the most famous white horses? Well, Vienna is FULL of horses! I think from all capitals around there are the most horses living in and around Vienna. Apart from the also well known (and highly criticized) Fiaker, there is even more to see. And the best part of it: it is RIGHT in the middle of the city! 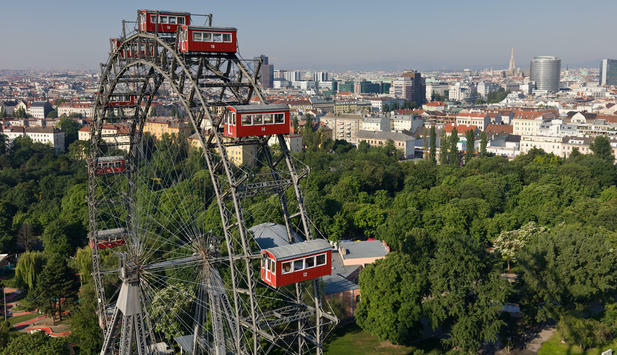 New York has the Central Park, Vienna has the "Prater": this huge park divides into two parts, one green oasis for recreation and one amusement park with lots of rides, restaurants, music. Following regulation of the river from 1871 to 1875, the entire area has undergone a dramatic change due to a lowering of the groundwater level. The construction of a weir here will bring about further changes. This municipal outdoor collage includes the "People's Prater", the main avenue with its adjoining landscapes, the fairgrounds, the Freudenau, the Krieau, the pleasure pavilion, theHeustadel pond, the Jesuit Meadows and the Prater Museum in the Planetarium near the Giant Ferris Wheel. The pleasure pavilion was built from 1781 to 1783 according to plans by Isidor Canevale, after which it was opened to the public in 1765. A wide variety of traditional entertainment possibilities are still available in the People's Prater. The flat racing track in the Freudenau, which has been a racecourse since 1862, was designed byCarl von Hasenauer and was extensively remodelled from 1885 to 1887 to plans by Anton and Josef Drexler. The harness racing track in the Krieau was laid out in 1878, with an architecturally interesting grandstand designed by Emil Hoppe and Otto Schönthal added between 1911 and 1913. A new utilization concept is currently being developed for the Prater, with a view to further developing the various facilities available and taking account of a wide variety of interests. Today, you can find along the alley cyclists, roller skaters, walkers, there are tennis courts, a swimming pool, cricket and baseball fields, playgrounds, dog zones, golf course - but what is absolutely stunning - A RIDING TRACK! This is due to the fact that there is a barn at the end of this alley! Right in the middle of the city in one of the most beautiful and most versatile parks I have seen so far (and I actually lived at the edge of the park in the last apartment I had when I was still living in Vienna - can you imagine hearing Fiakers trotting by when washing the dishes in the kitchen? Yes, I had that!). There is even more than that: there is harness racing and another galopp race track! All right in the middle of the park! So for me it was clear that I need to show that to Jen! 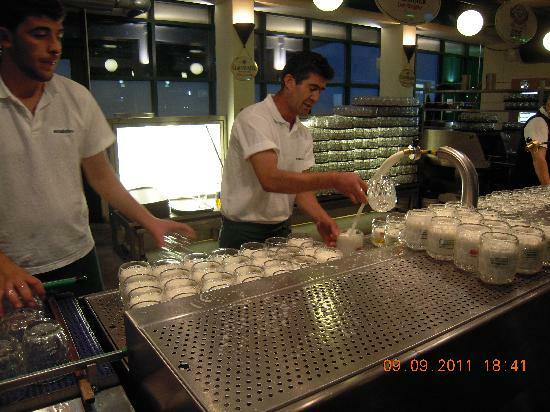 But apart from romantic candlelight dinners in one of the cabins, the chance for food is rather low at this attraction. Thank God there is one restaurant every tourist should have seen at least once! The so called "Schweizerhaus" (The House of the Swiss). I enjoyed this afternoon/evening so much and it was such great fun to show a horse crazy person something she would not even expect to see and something that is in no tourist guide. Talking like knowing each other for ages felt like we really made friends over the Internet (point for you, Internet!). Jen also brought presents (oh, you shouldn`t have): typical stuff from Texas making me wish to go there soon to also visit her and try this nice BBQ sauce on an original Texan BBQ! Thanks once again Jen for your visit, hope you enjoyed it as much as I did.